Panoramic View of the Entire Milky Way | The Pinnacle P.O.V. For all you astronomy enthusiasts out there, here is a breathtaking view of the entire Milky Way Galaxy. Serge Brunier and Frédéric Tapissier patched together 1,200 photos of the night sky into the awesome composite photo. 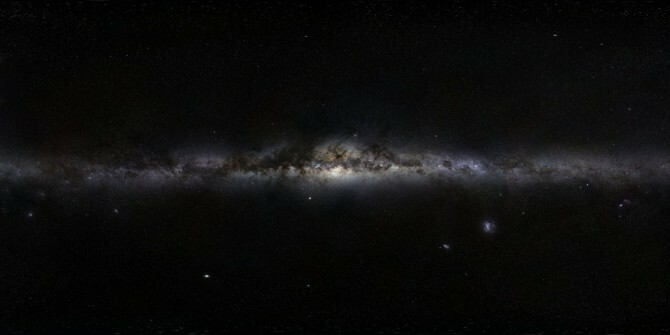 A large, zoomable version of the picture you see above is available from the European Southern Observatory and lets you visit any part of the galaxy. Here is a YouTube video of the photo as well. ~ by pinnaclepov2224 on September 14, 2009.